Zoos, aquariums and their visitors will be able to support a land purchase initiative announced today by World Land Trust and BIAZA (the British and Irish Association of Zoos and Aquariums). 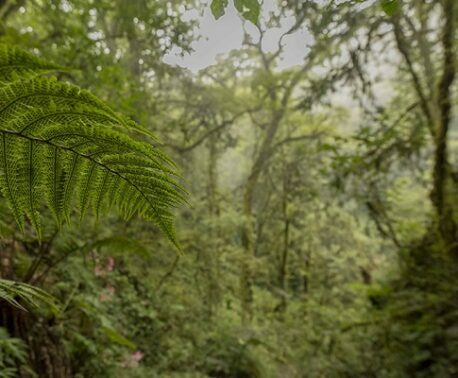 The aim of the project – BIAZA Buy an Acre – will be to raise £10,000 to safeguard 100 acres of land in Sierra Gorda, Mexico, in partnership with WLT’s Mexican partner Grupo Ecológico Sierra Gorda (GESG). An area of wonderful ecological diversity, Sierra Gorda is Mexico’s richest area for mammal diversity. The mountainous region is home to all six cat species found in Mexico – Jaguar, Puma, Bobcat, Margay, Ocelot and Yaguarundi. More than 130 other mammal species have been recorded including Black Bear, Neotropical Otter and Queretaro Pocket Gopher. In addition there are 334 species of birds, including Military Macaw, Great Curassow and Maroon-fronted Parrot. “This is a fantastic opportunity for BIAZA members to pull together and, by saving this precious habitat, to achieve a really significant conservation goal,” said Kirsten Pullen, Chief Executive of BIAZA. 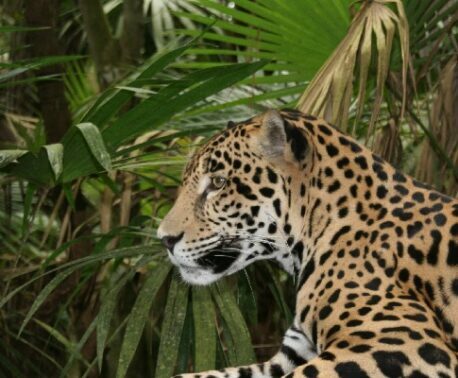 To complement the initiative, BIAZA staff will themselves raise funds to purchase a camera-trap to capture images of wildlife in Sierra Gorda, to be made available on the BIAZA website. BIAZA will present the camera to Roberto Pedraza, GESG’s Technical Director, when he visits London in May for WLT’s 25th Anniversary Partners Symposium. At the start of March BIAZA will be sending its members an invitation to join the campaign. A BIAZA Buy an Acre Action Pack will be available on the BIAZA website with information about the biodiversity of Sierra Gorda and resources including a poster, banner, logos, images and a QR code to link zoo animal interpretation to information about the project. This recent fundraising initiative builds on the longstanding partnership between WLT and BIAZA. In 2007 WLT and BIAZA embarked on a project to create a reserve in Brazil’s Atlantic forest. By 2010, BIAZA members had raised more than £124,000 towards the purchase of 1,651 acres (668 hectares) of Atlantic forest. Now called the BIAZA Reserve this property is owned, protected and managed by WLT’s project partner in Brazil, Reserva Ecológica de Guapi Assu (REGUA). With only 7 per cent of the original Atlantic forest remaining, the creation of the BIAZA Reserve was a great achievement. Following on from this success, between 2010 and 2012 BIAZA members went on to fund two reserve rangers to protect the BIAZA Reserve and the wider Guapi Assu Reserve. In 2013 the partnership went a stage further with the BIAZA Keepers of the Wild programme, which supported rangers in reserves in Armenia, Borneo, Brazil and Mexico.